Detailed rank list prepared based on different criteria is available on this platform. ClearIAS rank-lists get updated automatically every time any user submits a test. The rank-list feature brings elements of competition into these tests and helps users to compare themselves with others on a wider platform, across India. Compete, learn, analyze and clear IAS! Be it a current-affairs test, subject test or a full-topic all-India mock test, ClearIAS detailed rank-lists help users understand where they stand, and make necessary changes in the preparation. New mock tests: Individual mock tests are regularly uploaded into this platform. To know the latest rankings for new mock exams, your may also refer respective links under Toppers Rank-List For Individual Mock Exams. Please find below the name of the toppers for specific subjects. This rank list is not based on a single test, but on the total marks (points) scored in a specific subject from all the attempted tests. Please find below the name of the users, who topped our charts based on total marks scored. This rank list is not based on a single test, but on the total marks (points) scored from all the attempted tests in this platform. To see this rank-list check the link: Toppers Rank-List: All Tests. Please find below the name of our most active users, who topped our charts based on a number of unique mock tests completed. 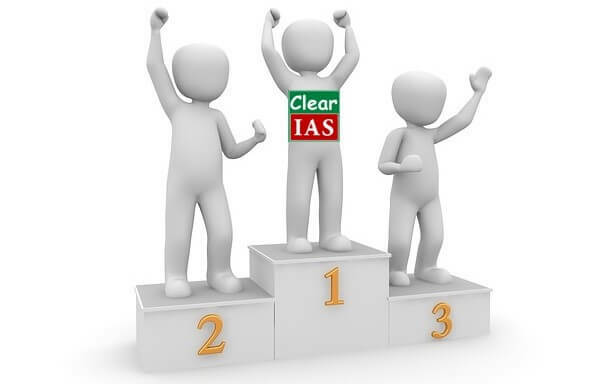 To access this list, check the link: Top Users Who Completed Maximum Number of Unique Tests of Clear IAS Exam.